2013 Ford Mustang GT Premium Coyote - clean Carfax. Trim: GT Premium Coyote - clean Carfax. Thank you for your interest in one of Quality Auto Center's online offerings. 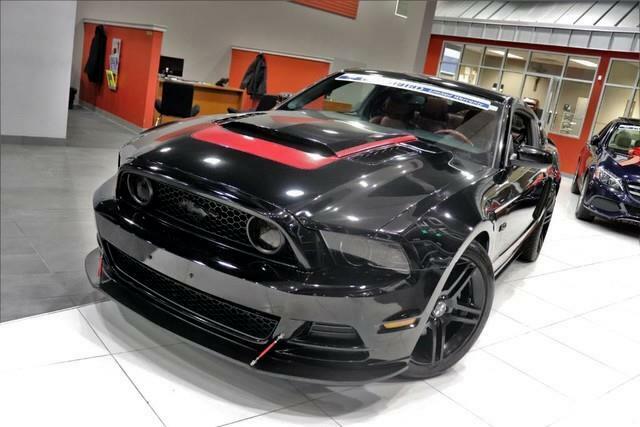 Please continue for more information regarding this 2013 Ford Mustang GT with 52,578mi. It's not a misprint. And the odometer isn't broken. This is a very low mileage Ford Mustang. A rare find these days. Based on the superb condition of this vehicle, along with the options and color, this Ford Mustang GT is sure to sell fast. You've found the one you've been looking for. Your dream car. More information about the 2013 Ford Mustang: The Mustang got an extensive redesign a couple of years ago, and it carries through with that same heritage pony-car look. Mustangs remain one of the strongest performance-coupe values for the money, thanks to prices that start in the low twenties and a bottom-line price of about $35k for a well-equipped GT Coupe. Additionally, Mustang Convertibles are one of the better picks for those who plan to make an impression when cruising and plan to carry passengers in the back seat. Meanwhile, the powerful Boss 302 version is the choice for those who plan to do weekend racing and are willing to give up a slight bit of comfort. This model sets itself apart with excellent performance value, Strong performance, a modern design with retro cues, and comfortable interior No Credit / Bad Credit / No Paystubs, No problem !! ! All Approved ! Everyone drives ! CLEAN, GORGEOUS, LOW MILES, SHOWROOM CONDITION. CALL NOW QUALITY CERTIFIED up to 10 YEARS 100,000 MILE WARRANTY , To Certify a vehicle, there will be an additional cost for Certification. CALL NOW For details. STUNNING AGGRESSIVE LOOK ON THIS BEAUTIFUL--Call today to schedule a test drive... Good Credit/Bad Credit/No problem!!!! Get paid cash? No problem!! 100% Credit Approval with interest rates starting at 2.49% for qualified customers, our rates will not be beaten. We price our cars at wholesale price to guarantee the best deals for our customers. Our inventory moves quick, please call to confirm the availability of the vehicle of your interest Springfield location 973-564-0112. This vehicle is located at our SPRINGFIELD location. Come visit our new showroom in Springfield NJ.